WARSAW — A Tippecanoe woman was arrested after battering a male in a vehicle while a child was present. 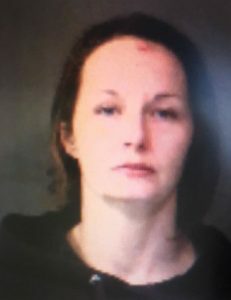 Patricia Lyn Sweet, 27, 1615 20th Road, Tippecanoe, is being charged with domestic battery with a child under 16 present, a level 6 felony; and domestic battery, a class A misdemeanor. On Dec. 6, an officer with the Warsaw Police Department responded to a report of domestic battery taking place in the Rue 21 store parking lot. According to the affidavit of probable cause, when the officer arrived, he observed a female, identified as Sweet, hollering and hitting the passenger window of a vehicle. Sweet would not cooperate with officers and was handcuffed and placed inside a police vehicle. The officer talked with a male subject at the scene. The male said that while Sweet was sleeping in the vehicle, he woke her up to tell her she needed to pick up a minor from school. Sweet became enraged and attempted to jump from the vehicle while it was moving. After the male stopped Sweet from jumping out, she started hitting him on the head. The male took video of the incident. The video showed Sweet striking the male on the head. The officer also observed blood and a small cut on the right side of the male’s head. A child was present in the vehicle while Sweet was hitting the male. Sweet has already been arrested and released on her own recognizance. She has an initial hearing date set at 1 p.m. Jan. 7, 2019, in Kosciusko Superior II Court.